There’s an increasing amount of conversations about Women and Leadership, and I love it! I believe that the next generation, including my own daughter, will have more opportunities to share their voice, without judgments, and pursue jobs that had been traditionally filled by men. 1. To encourage people, especially women, to build their skills and focus on a career in the Customer Experience field. 2. To Inspire women to pursue their passions. I’ve learned a lot over the past 20 years working in large and small companies. I know first hand the challenges in pursuing a career while balancing parenthood. I am elated that more companies are committed to creating a culture where women matter and employee diversity is valued. Below is a recap of a recent interview of me in honor of International Women’s History month. I hope it serves as inspiration for all my readers. Q: Explain what you do in your role. A: I’m currently the Director of Customer Experience, leading a team focussed on delivering best-in-class Customer Excellence and Employee Engagement that serves as a brand differentiator. My role includes establishing & implementing innovative Voice of Customer (VOC) initiatives that provide a deep understanding of how customers interact & feel across all touch points. I’m also leveraging data, including Voice of Employee (VOE) feedback, to enhance customer journeys, and collaborating with cross-team to “close the loop” resulting in record high customer Net Promoter (NPS) scores. Q: Why is gender equality important? A: Gender equality is important because all people deserve access to the same resources and opportunities. If two individuals with similar skills & education apply for the same job or promotion, there should be no difference in the evaluation process. Unfortunately, equality has not been the case over time and I’ve witnessed this. I am very glad there is now a cultural shift so that my kids benefit in positive ways. Q: What have you overcome to get where you are today? A: I have overcome “inclusion” situations in past workplaces. For example, there’s been a multitude of times that I was not invited to all male meetings, even when my level or related positions were in the room and topics pertained to my job. I’ve overcome challenges by communicating tactfully with people and articulating the value I bring, so they’d understand my perspective and need for inclusion. While self-advocacy is not easy, it is essential and a contributing factorfor my success. Q: What would your advice be to the next generation of women aspiring to get advance their careers? Q: What has been the most pivotal piece of advice you’ve received in your career? A: There will ALWAYS be obstacles. Know what you can control and focus your time and effort on those things. People often say “No” without even thinking about situations, but there IS a path to “Yes!” Be creative and figure it out! Q: Do you have a female role model that helped you get to where you are today? A: Executive Director Stacey Aaron-Domanico from my former job at Verizon, taught me about leadership and authenticity through her actions and words. We are still connected, and she inspires me to be amazing and genuine in everything I do. If you like my article, please subscribe to DoingCXRight to continue getting updates. And, join the conversations about customer experience, employee engagement and much more on Twitter & Instagram. *Opinions expressed are Stacy’s alone and do not reflect the opinions of or imply the endorsement of employers or other organizations. By and large, people perceive culture as an HR discipline. The most common perception is that culture covers the soft side of performance. Culture is about how you do things, not so much about what you do. This approach to culture could not be more wrong. In fact, organizational culture is about so much more than a few words in a performance review sheet. It is about leaders expressing values, and the action guidance their cultural behaviors provide. Let’s imagine your leadership makes a public commitment to customer-centricity. The act of stating a commitment to culture is not, in itself, culture. This is probably the biggest misperception among leaders. Even if you make a few posters and put them on your office walls, you still do not have a values-driven or a customer-centric culture. Culture is not something you say. It is all the things you do. What is allowed/is not allowed? How are decisions made? Who makes those decisions? What actions (or lack of actions) are rewarded? All of these questions define the boundaries of accepted behaviors. And thus, they define culture. So, if you are a leader who wants to build a customer-centric culture, you must have the self-discipline to be consistent. You must make leadership decisions driven by the customer. If you do not have an internal customer insights team, build one as soon as you can. There is a difference between having an internal team and sourcing a vendor that charges you for every survey you may want to develop. If you are serious about customer experience, you need an internal team that is accessible to the business and serves the business’ needs. Currently, data is the least obvious side of customer-centric culture. 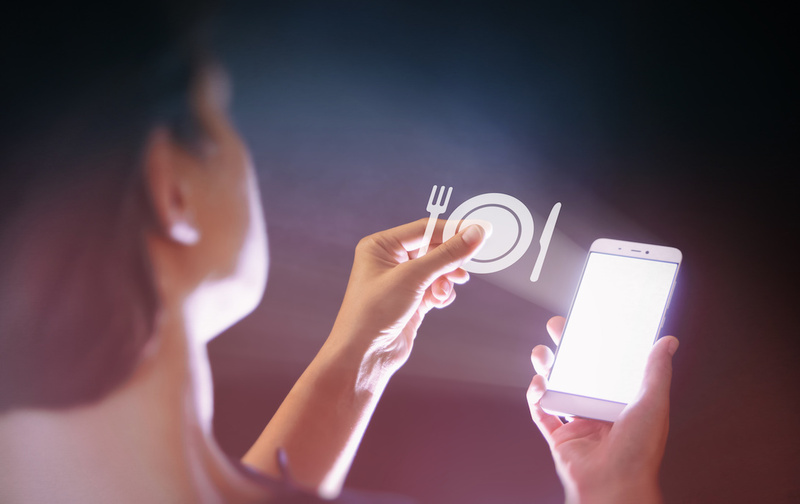 In order for brands to build hospitality-infused experiences, they need to start with data and insights. These insights tell your brand your customers’ needs and preferences. As a customer experience professional without access to that information, you are blind. Or worse, you are biased to use a sample of one as a guide for the entire experience design. In this sense, access to customer data is a defining part of customer-centric culture. When employees get to know customer preferences via surveys, they incorporate those preferences into their actions intuitively. Additionally, when employees are informed of customer actions from beacon and location data, they use that information to design spaces. Without democratizing customer data and insights, you can’t have customer-centric products and services. Sharing insights across the organization is one side of the data coin for customer-centric organizations. The other side is how leaders themselves use these insights. If leaders do not study insights and implement them into their day-to-day decisions, they signal to employees that customer preferences are not important. Moreover, if leaders do not share survey insights with the organization, they are muting the voice of the customer. In a customer-driven organization, leaders act on behalf of the customer. This is a pretty powerful statement, so let me repeat it. Leaders ACT ON BEHALF of their customer. That means that leaders know the customer. They care about asking the customer his/her opinion. And they commit to acting in response to those opinions. If you want to build a values-driven culture that focuses on the customer, you have a lot of work ahead of you. Keep in mind, it is not about one big thing you do. Rather, many everyday actions amount to one big FEELING of culture. That feeling motivates your employees to stay. And it motivates your customers to return for more experiences, co-created with them. 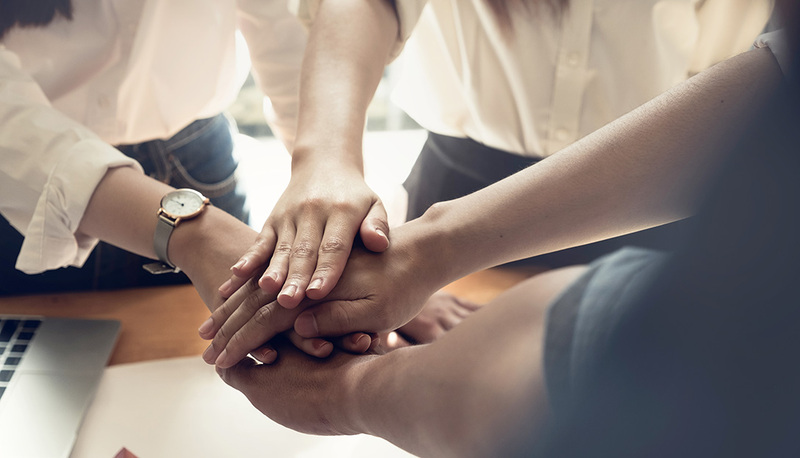 For guidance in building values-driven culture that focuses on the customer, learn more about our approach for CX Culture. Sign up for our newsletter and gain access to our whitepaper: How to Go from CX Novice to CX Expert. There’s a common phrase, “Happy Employees Bring Happy Customers.” It is so true! When people feel valued and enjoy their workplace, they are more likely to be engaged and committed to delighting customers and maximizing their satisfaction and loyalty. A centralized customer experience organization is able to monitor the quality of the experiences they deliver. This kind of organizational setup enables teams to take action on Voice of Customer (VOC) feedback, including structured data (i.e. surveys) and unstructured sources (i.e. social media.). It helps ensure there are clear actions and ownership in the company, plus a champion of customer-first culture at the top. Employee engagement is essential to deliver exceptional customer experiences. Collecting customer feedback is great. However, this is a wasted effort if employees don’t execute on improvement plans. Employees have a direct impact on customer experiences. In an environment with low employee engagement, success metrics like NPS scores inevitably decline. If you think about the most successful brands, they trust their employees and routinely measure their level of job happiness. Again, if you want to delight customers, make sure employee satisfaction is included in the overall strategy. Every level of the organization must be educated about the importance of customer experience and how they can make a difference! This includes front line employees, managers, and executives. Furthermore, every employee must be held accountable for delivering customer excellence. To promote accountability, I highly recommend including CX metrics in everyone’s annual objectives. Include the ability to get bonuses when employees achieve goals, similar to other key performance indicators (KPIs). I have tested this theory throughout my career and can unequivocally say that, when CX is a shared goal among all employees (not just a few) business results are significantly better. Emphasize the importance of humanizing customer experiences throughout your organization. This starts with meeting customer needs without over-complicating processes. When customers feel appreciated, they are more satisfied. And they are more likely to recommend brands to others. The concept is obvious. Yet, it’s surprising how often employees forget the human element when they interact with customers. Many companies use tools and platforms to fully understand what customers are saying across channels and touchpoints. However, they don’t always incorporate the Voice of Employee (VOE), which is a key element in building a successful customer-centric program. Employees need to know their opinions count. When that happens, they become better performers who are more motivated to serve customers, fix their issues (“Close The Loop”), and do the right thing even when their boss isn’t looking. If you want to drive accountability and a CX culture, focus first on employees. Then look at technology. Not the other way around. Sign Up for my newsletter. You’ll get instant access to my free whitepaper. Contact Stacy for support and mentorship. *All opinions expressed are Stacy Sherman’s views and do not reflect the opinions of or imply the endorsement of employers or other organizations. How many times have you gone to a restaurant that does not take reservations and felt frustrated about the wait time? If you’re like me, it is too many to count. While many companies tend to focus on customer experiences at the point people are actually using products and receiving services, brand perception and customer judgments occur much earlier in the customer journey. People don’t care if there are internal company process challenges. If expectations are not met, customers will go elsewhere. If you Google the word “purpose” you get the definition “the reason for which something exists.” This is a challenge if you think about it in the context of an organization. And it is for this reason that so few organizations have cultures that are based on purpose. Instead, almost all of the organizations we see have visions and mission statements. 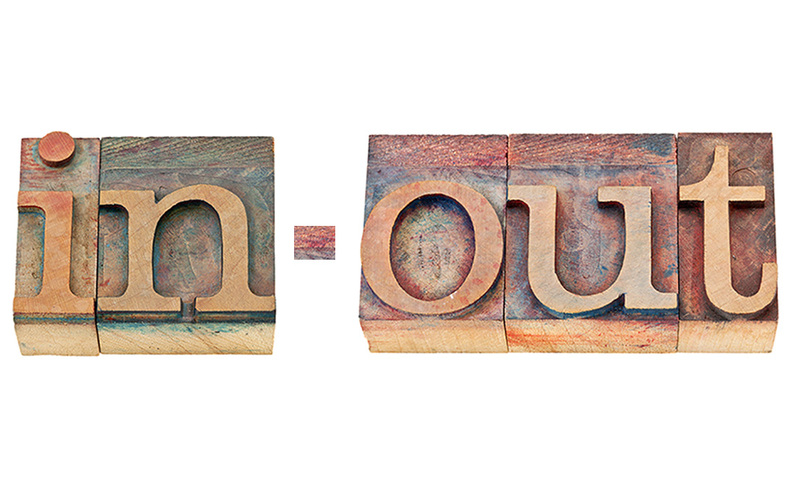 Why is purpose the necessary foundation for the right organizational culture? The answer is clear. When culture is based on purpose, that purpose informs strategic, business and financial decisions. It becomes easier to see what decisions to make in the context of your organization’s purpose. Let’s say you are a membership organization and your purpose is to serve your members. Assume you are in the meeting where you prioritize capital investments and you are looking at two technologies. The first aims to build a solution that will scale a product to reach more members in remote places. The second aims to make one event very effective. With the purpose of serving members top-of-mind, it is easy to make the call and choose the project that impacts more members. On the other hand, if you had a vision statement, the choice might have been open to interpretation and internal political debate. Purpose is deeply connected to the human side of business. As such, it is much harder to argue with. Purpose driven culture also helps to get your employees to buy in to your vision. Purpose is inspirational. It is personal. It is also based on values and, as such, can transcend the gap between work and personal life. 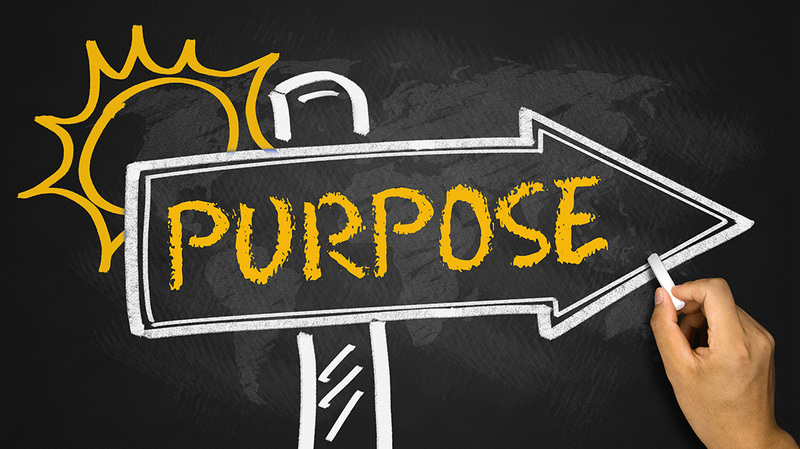 When your organization is purpose based, your employees who connect with that purpose can bring their authentic selves to the job. They can be themselves. In turn, this makes them feel more connected to the organization. That naturally elevated employee engagement turns your employees into ambassadors of your brand. There is no mission statement that can drive the loyalty that purpose can. Big brands often forget that, and they spend more time in the boardrooms talking about strategies. Strategies come and go. Purpose is permanent. An organization with purpose can easily survive changes in management and changes in the market. Even though leadership might change, purpose stays forever. With purpose based culture, even recruiting is easier. Candidates that share the passion for your purpose naturally demonstrate that in their interviews. It is much easier to spot and hone in on that in an interview than it is to test vision statement buy-in. Although purpose is much harder to define and it may take a little more soul searching, taking the time to do so early on is the best investment when you launch your organization. The ROI of that time is eternal and may well save your company’s life down the line. If you need a thought partner on getting to YOUR right answer, we are always here to help! Sign Up for our newsletter. You’ll get instant access to our free white paper. B2B versus B2C. Which Matters More For CX? You have some serious work to do before your customers experience your CX vision. 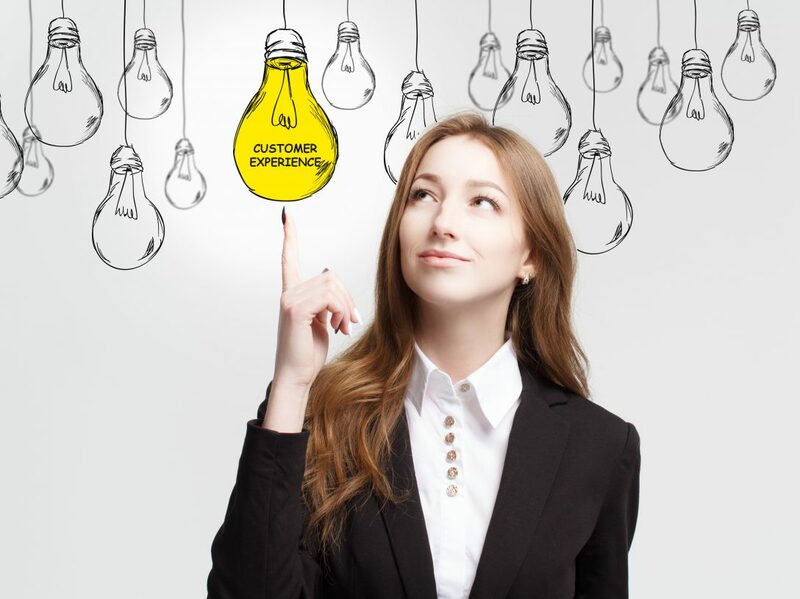 First, you need to educate your organization on the core principles of customer experience. If the organization does not understand what customer experience is, you will not get the funding or organizational support you need to build customer-centric experiences. This realization is particularly painful for those of us who see the inefficiencies that cause bad journeys and want to make the experience better for our customers. At this stage, though, the best advice I can give you is to wait before you move. Measure three times and cut one time. First, you need to educate your C-Suite on the concept and discipline of customer experience. Your C-Suite may or may not know what NPS is. They may use NPS already. Or, they may use NPS only for one touch point rather than the whole journey. They may identify NPS as a corporate goal that signals that CX should be a priority for the entire organization. Or not. You need time to assess your particular scenario and start building awareness to reach the next level of understanding and organizational buy-in. This may take months or a year. However long the expected turnaround is, you need to endure it before you start solving customer problems. Why can’t you (or the C-Suite) expect an immediate turnaround? Because of our good old friend measurement. You do not want to do all the work and not get credit for it when it does not directly (or immediately) impact revenues or costs. You need NPS (or another CX measurement) to evaluate your work. 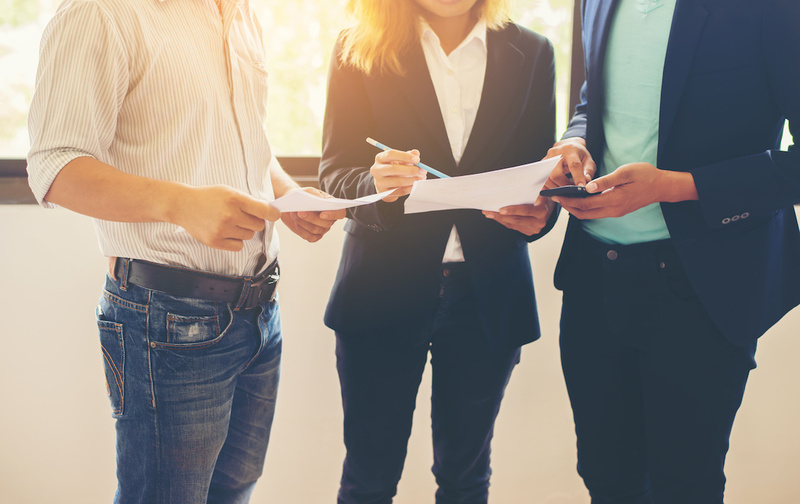 It is important to have a CX measure so you can correlate it and tie it to productivity, to savings, or to another benchmark that is part of your current corporate measurement structure. The first part requires heavy lifting: getting your executive team to accept that you will measure NPS across the customer journey within the organization. This includes looking at cross-functionally that risks revealing some inefficiencies in their departments. Now, you are ready to educate the teams of employees who will deliver the personalized experience you have envisioned. How do you do that? The easy answer is training. That works for those who want to influence the culture of one division. Or, if all you are doing is running a Call Center. However, if your organization is more complex, training alone will not help you achieve your CX goals. The entire organization needs to buy into your customer experience vision. Imagine you want to help your customers complete an interaction with you early so they are not forced to wait later. This could be to check in for a flight or to advance register for an expo. When you think of CX vision, this is probably not the first example that comes to mind. But remember what we spoke about last year: you may have a CX job already and not know it. So, back to our example. To remind an app user to check in early, you need your digital team to prioritize this feature on the app before other features that are on the list from other departments. To send a tailored email campaign to all your exhibitors, you need the marketing team to schedule your campaign on the right date to meet your CX needs. This could push other company messaging to a later date. If all you do to initiate customer-centric CX in your organization is hold a customer service training, the digital and marketing teams you need to buy in will be excluded. They will not hear or understand the CX vision you are trying to implement and the value it has for the organization as a whole. This is why CX professionals need to start educating everyone in the organization. And I mean everyone, from the front desk greeter, to the marketing manager, to the IT staff. To do this you need a lot of time and patience. You also need to inspire the teams and explain why it really matters to do what you want them to do when you want them to do it. The trouble with building journeys is that you cannot do it only with one touch point. You need more in order to connect those points and build the seamless experience that truly puts the customer at the center. Educating all departments on customer-centric culture helps to do that. So, be the brand ambassador for customer-centric culture and infuse that in every conversation you have with every person in your company. Try to customize your messaging so you do not come across as self-serving, but rather as someone who genuinely cares about the customer (as you do!). If you need help strategizing how to put the customer at the center of your organization or if you need help getting started with CX, talk to us! *All opinions expressed on the DoingCXRight Blog and site pages are the authors’ alone. They do not reflect the opinions of or imply the endorsement of employers or other organizations. Last week we started the conversation about culture by establishing that we need to define culture before we can deliver great customer experience. Today, we are talking about how to get the right culture in your organizations. First and foremost, you need the right leader. Without a leader who believes that today’s business success is about acquiring and retaining customers, you cannot even begin the process of building a culture. Leaders who are passionate about the customer are also passionate about creating culture and employee engagement. Leaders create the culture of an organization. Their actions and words form the storytelling and folklore of the company. That is the strongest source of culture. Folklore is not designed. It is an account of what happened. In that sense, the leader at the top defines the culture of his/her company. Dave Barger, the former CEO of JetBlue Airways, remembered the name of every employee he met. He stopped employees in the hallway to shake hands or high five. Every new hire knew the stories about Dave Barger. The CEO and his values were part of the folklore – and the identity – of the company. Airline employees knew Dave as the man who started his career as a bag handler. He was someone who walked the talk because he knew firsthand what it is like to be on the front line. These kinds of stories can’t be choreographed. If they were, they would not be retold by employees. Nor would they be embraced. Dave used to fly to Orlando, where JetBlue’s training center is, to meet every new employee as part of an Orientation process for new hires of all ranks. Every two weeks, he spent two days in Orlando telling the story of how the company started and sharing his passion for the industry with flight attendants, bag handlers, and support function new hires. So how was culture instituted in JetBlue’s case? Once people knew what a caring and passionate leader Dave Barger was, they wanted to emulate him. Even more, they wanted him to be proud of them. So they tried to do what he did in their small orbits of influence. And it worked. The General Manager of Boston took care and connected with all his employees in the operation. The VP of the Contact Center made the offices in Salt Lake City a home for all her employees, supporting them through personal and family struggles. The culture “JetBlue is your family” started with the CEO. But it did not end with him. The company culture that stimulated employee engagement and fueled customer experience could not have grown without a leader who “lived the values” every day of his life. According to Lumoa “Only 13% of companies believe that HR has an impact on Customer Experience activities in the company.” This is one of the reasons so many companies have a hard time making CX part of their core value proposition. A great leader knows that culture needs both folklore to inspire, and a reward system to acknowledge when culture values are done right. When culture is important to the leader, he/she incorporates it into a culture goal for the executive team. In JetBlue for example, HR managed the culture goal. And it accounted for 20% of the goals for all Directors. Part of the culture goal was to adopt a city station and visit the employees four times a year. What do you think happened when it rained and we still had to travel to our respective cities? We all went, since there was an incentive to do so. HR is integral not only in the culture goal setting process, but also in the programming of events and initiatives that bring that culture to the daily lives of employees. That programming is essential to promoting and maintaining culture in your organization, for the benefit of employees and customers, as we will explore in some exciting upcoming conversations. 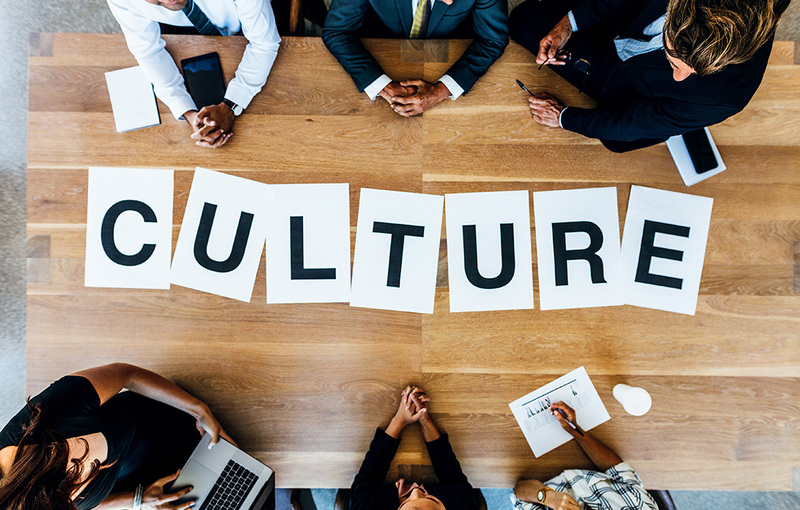 What you need to walk away knowing right now is that, when culture is top of mind for leadership, leadership supports employees who live out culture goals. Let’s carry through the JetBlue example. Under Dave Barger, caring was a culture goal. Employees earned credit for volunteering outside the organization. And employees with the most hours were honored at a gala dinner with the CEO and executive team (that means real face-time with leadership). Compensation and rewards like this – moments of awe for employees – close the loop with the executive team. That is how we build cultures in organizations in a way that shows results in the daily life of employees and the experience of customers. So, if you are serious about culture, hire the right leader for your organization and start building from there. Confused about where to start? We can help you build your culture goals throughout your organizational structure, from HR to leadership, to front line employees. Why you need a defined culture to do CX right? When designed and built correctly, customer experience expresses an organization’s brand. So, if your brand identity is playful and your copy has a witty voice, your space design is less formal. In other words, your brand and marketing promises serve as a guiding light to your experience team. Similarly, organizational culture serves as a goalpost for the service side of customer experience. What Role Does Culture Play in Customer Experience? The texture of organizational culture is made of the behaviors and ways your employees communicate with customers. Without it as a guide, employees are left to their own devices. And the delivery of good customer experiences is left to luck. Without a defined culture, your employees tend to be more transactional. They do not create interactions that grow into relationships. Think about it. If nobody tells you HOW to do something, you will think that the most important thing is just to get the thing done. The how is not even part of your thought process. 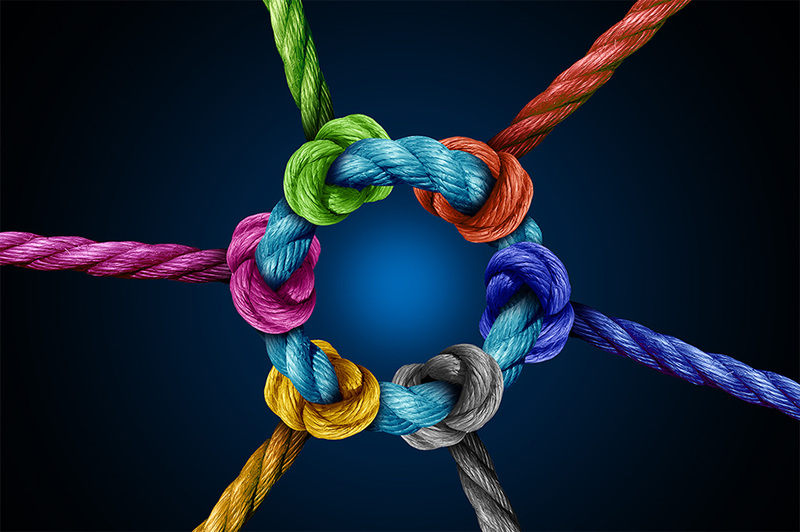 The result of this is customer experiences that feel cold – experiences that do not make a connection with the customer. Without that connection, there is no emotion. And without emotion, there is no memorable customer experience. You need to consider how you want your customers to feel when they interact with your brand. Now determine how you deliver those feelings. You don’t! Your employees do. Now, how do you make sure your employees deliver the right feelings? By making them feel the SAME feelings. That is culture! When your employees feel cared for, they care for your customers. When they feel integrity is nonnegotiable, they hold the highest moral standards. And when your organization has a defined culture, you trigger this positive domino effect that reaches employees and customers. Organizational culture is the factory for the feelings you want your customers to have when they interact with your brand. It is not possible to do CX right without a defined culture in place. All memorable brands have defined cultures that are over-communicated to their employees and customers. Disney, JetBlue, Ritz Carlton, Zappos, and other hospitality-driven brands all have vibrant, recognizable cultures. So, if you want to join those brands and make your customers happy, you need to start by defining yours. Mission statements are not enough. If your organization lacks a defined culture, it seeps into every department, at every level. Without a defined culture, there are no hiring standards for culture. When people are hired primarily for their hard skills, and culture is not part of the decision process, it is impossible to drive certain culture-connected behaviors. For example, if you have a defined culture and CARING is one of your values, then, as part of the hiring process, you assess how your candidate’s score against that. If INNOVATION is one of your guiding principles, you look for risk takers and for people who are comfortable making decisions with limited information. If HR does not know what to hire for, there can be no active belief system in the organization. A defined culture brings a vocabulary with it. Words matter. They are the tissue of culture and they need to be used with intent. Unfortunately, like customer experience, culture is hard to implement in a sustainable way. The good news is we are here for that! If you aspire to build a brand that delivers exceptional customer experience, reach out to us. We will be happy to guide you through the maze of culture building! Today, we’re pleased to share a guest post by Annette Franz, CCXP of CX Journey. This article originally appeared on her site on August 11, 2015.